I've loved this show for ages and, call me crazy, I really enjoyed Kara and Sam's dysfunctional love story. 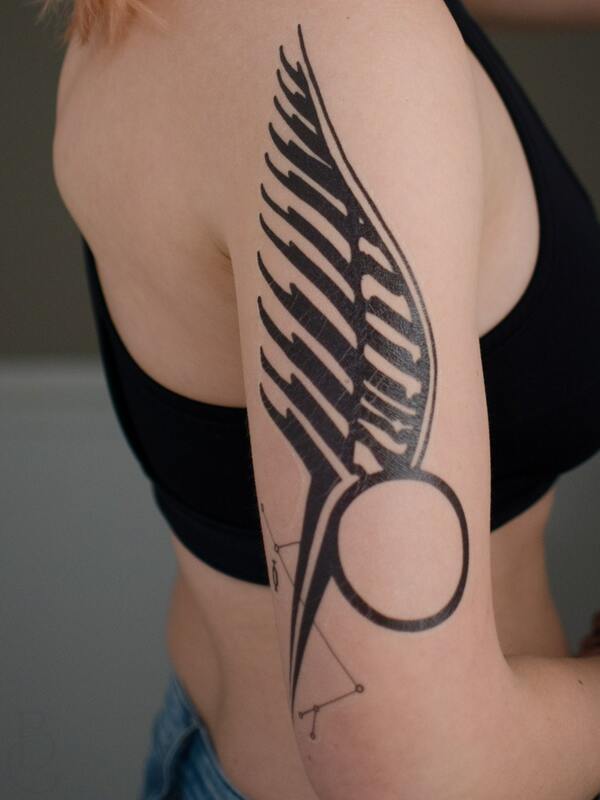 The designs were hand-drawn, and the constellations are cosplay accurate for anyone interested. A larger size can be printed at additional cost upon request. Just send me a direct message via Etsy. When worn by two people, an embrace completes the two-winged design, and brings the constellation diagrams at the base together. 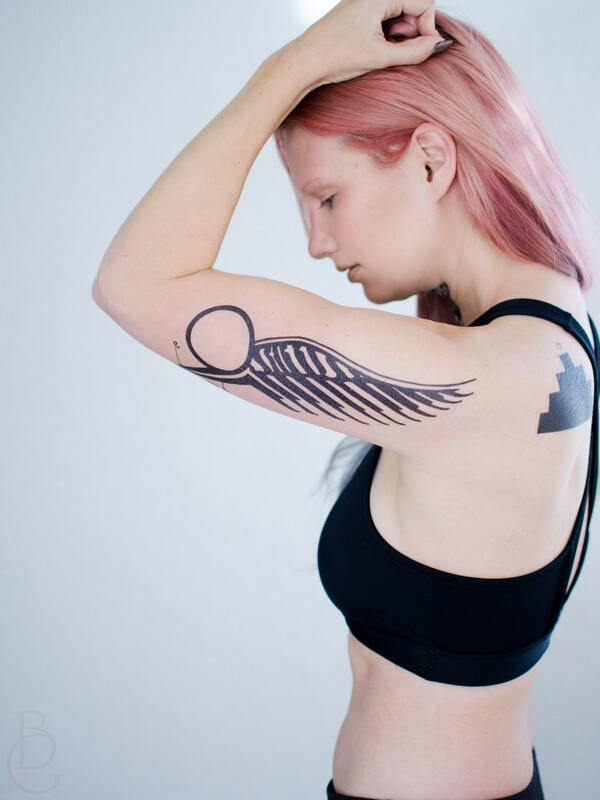 Kara's tattoo is traditionally worn on the left arm. Anders' on the right. 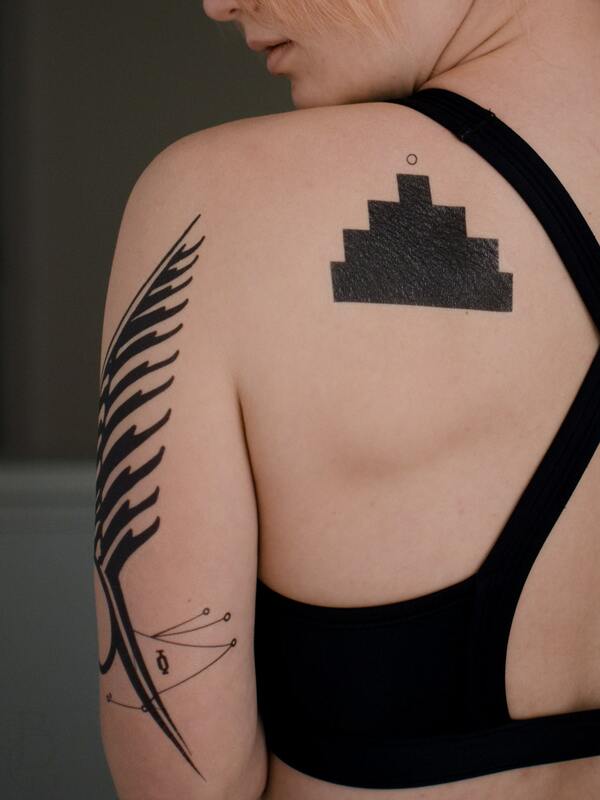 The Galactica and Step Pyramid tattoos are available from other listings. 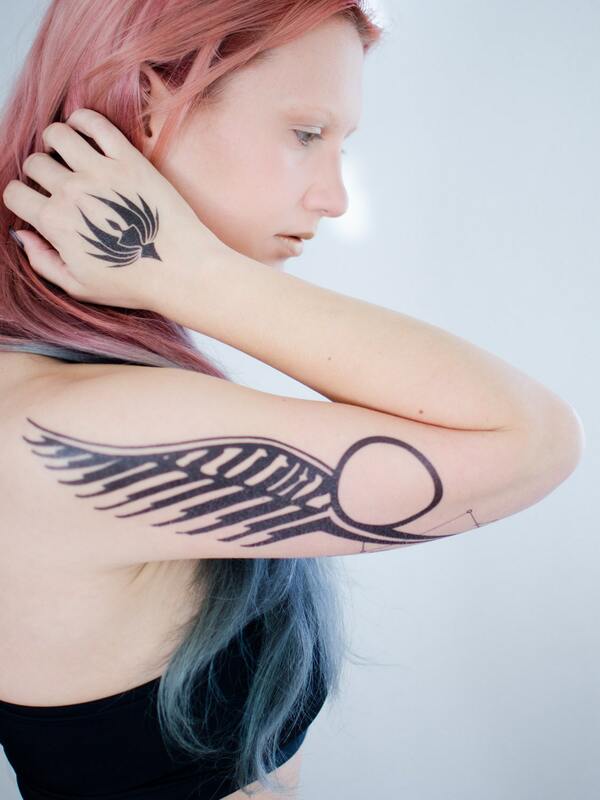 Each tattoo is approximately 10.75" long.